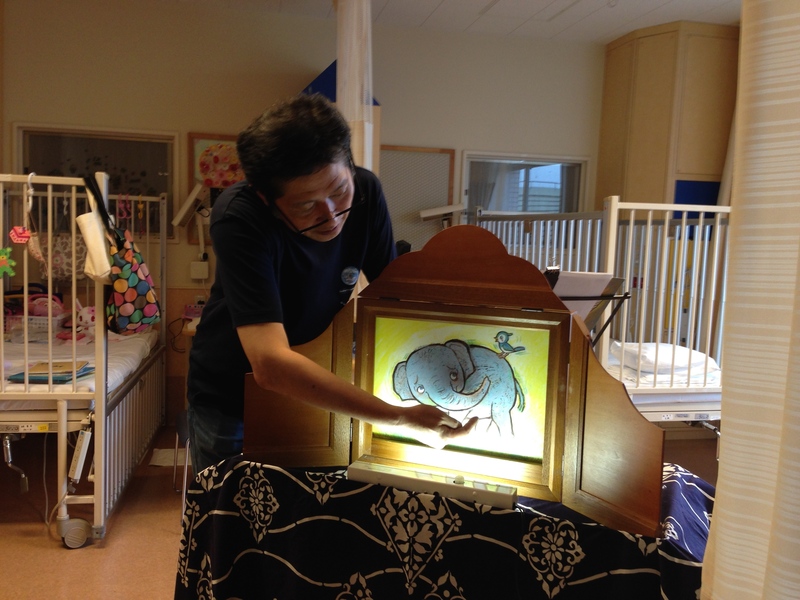 At the pediatrics ward, a grandfather of a patient also enjoyed the story telling with his grandchild. At the infant home, small kids joined the readers’ theater sometimes being completely absorted in the stories and sometimes walking around with a little curiousity. 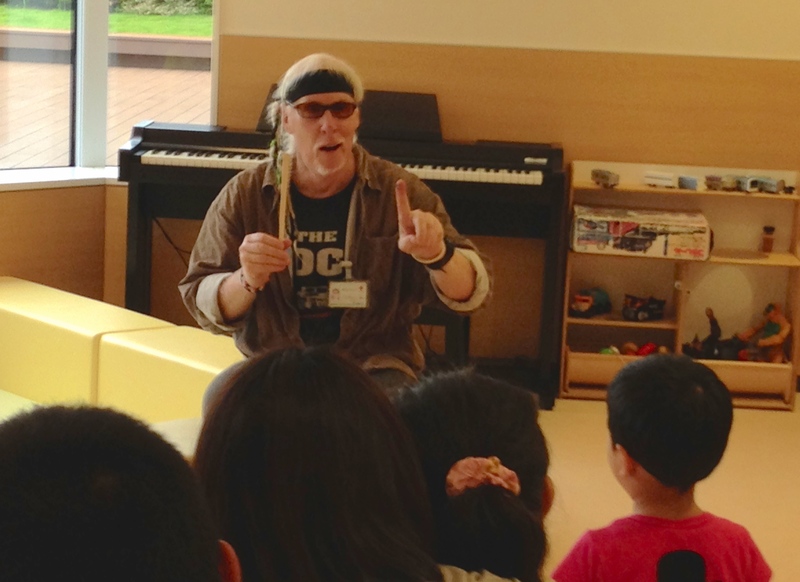 Today, another performance was held at Miyagi Children’s Hospital by SHJ musicians at the same time. Readers’ theater with songs and piano performance. Readers and children both got into the stories and enjoyed talking to each other turning into the charactors in the stories. 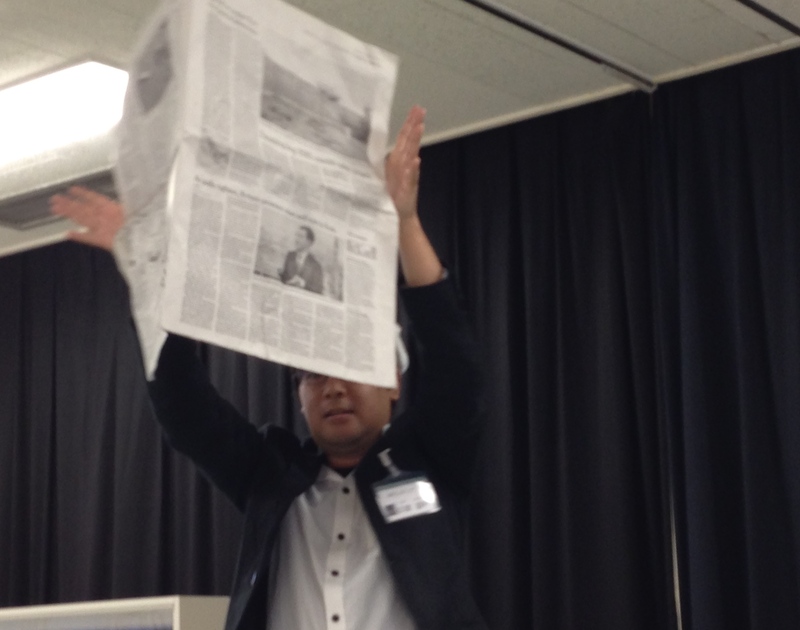 The most popular story was the one about the kid ninja. Many scines like not only readers but duet singers were shown. 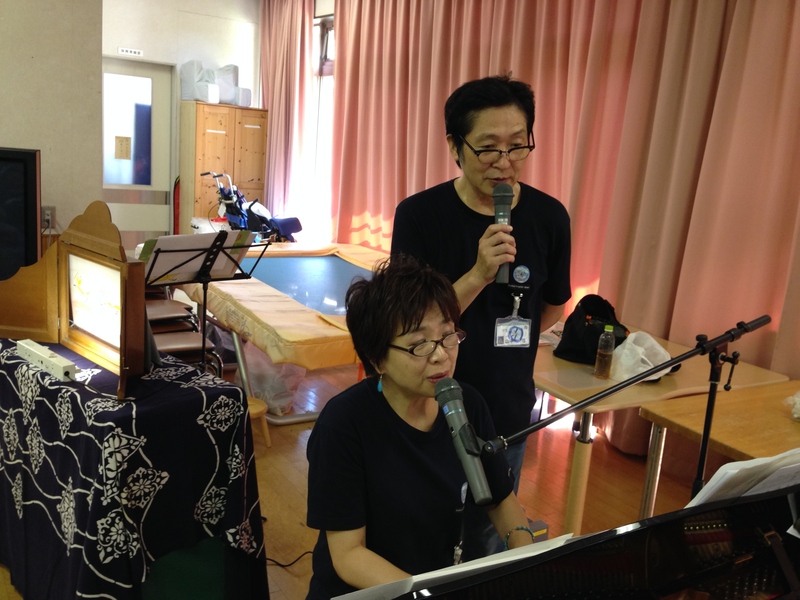 Kazuko-san’s original song” The first Love Song” is always popular among all the audience. 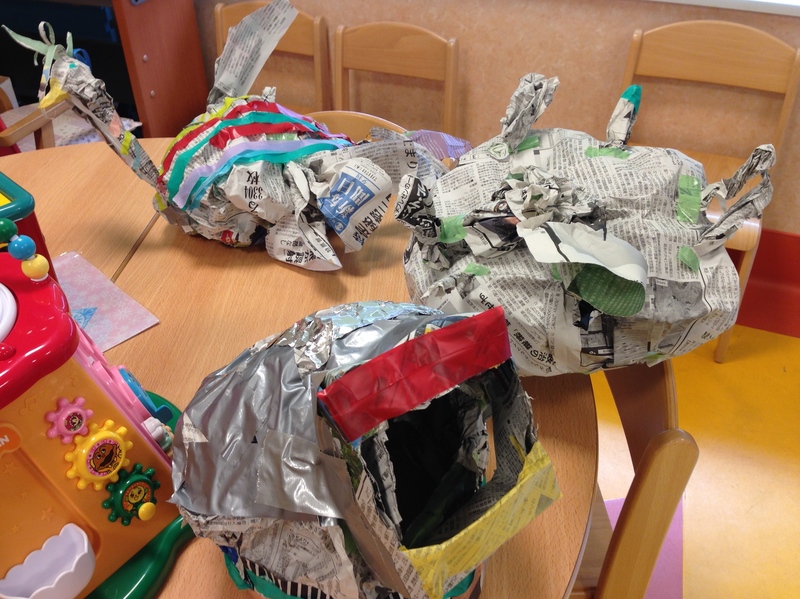 Children like scary stories like “Mummy Man” or “Poor Werewolf”. One of the most fun stories was “Three Rice Cakes”. A couple of an old man and an old woman fought for only one cake left by a staring‐out game. 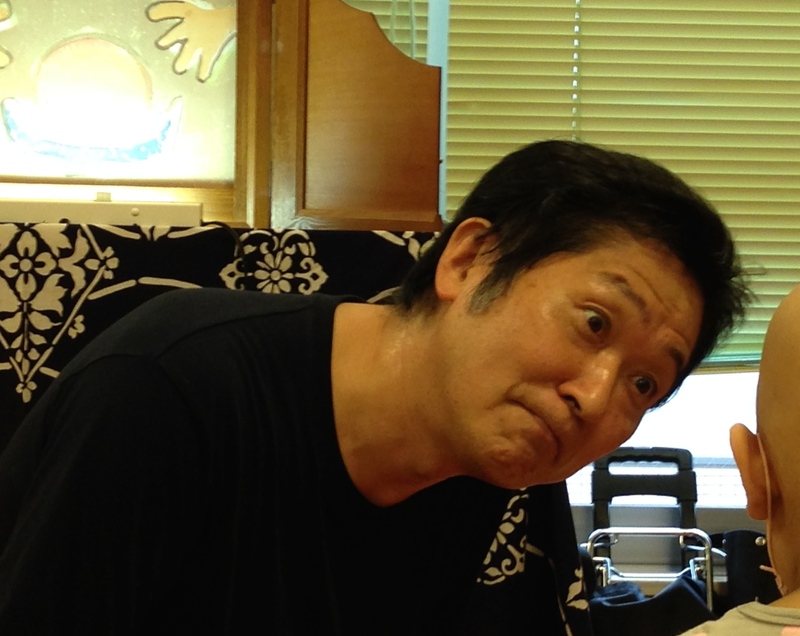 But Ittoku-san’s making all kinds of funny face was the funniest show! 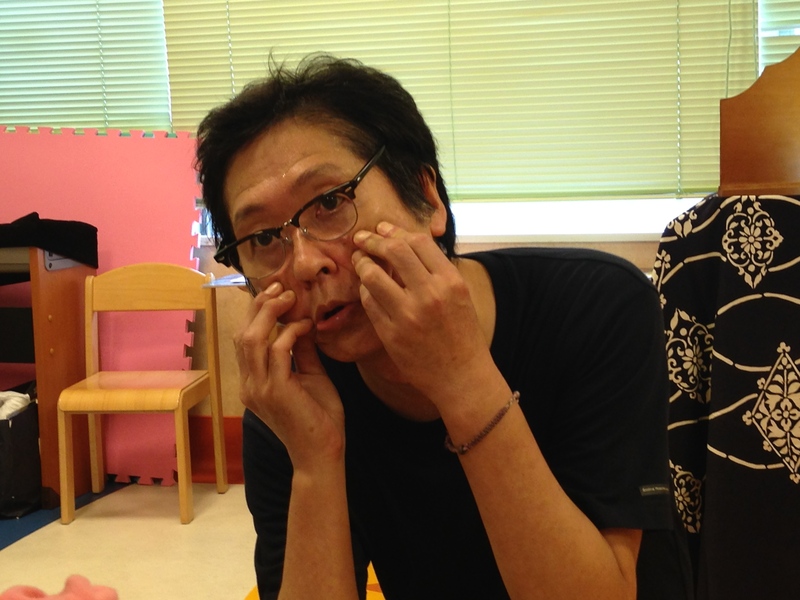 Kumi-san drew children’s faces and made them into button badges. 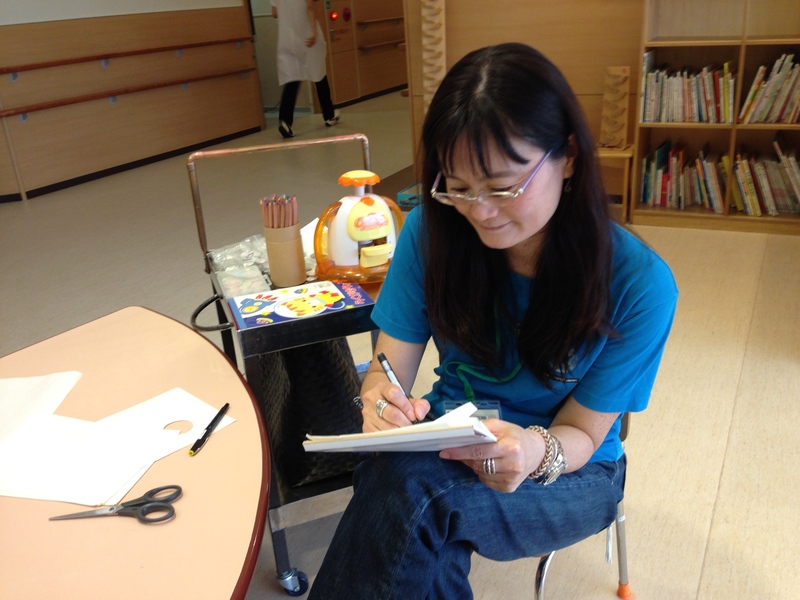 Some children drew their favorite things or anime characters and enjoyed changing them into their own key holders. 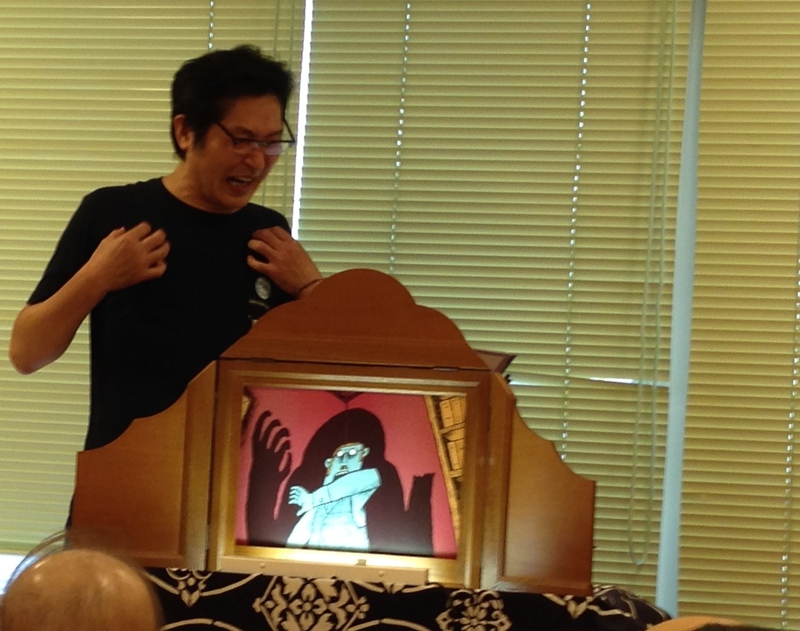 Very popular story telling by a professsional narrator Ittoku-san. For infant in the morning and for primary and junior high school kids in the afternoon. 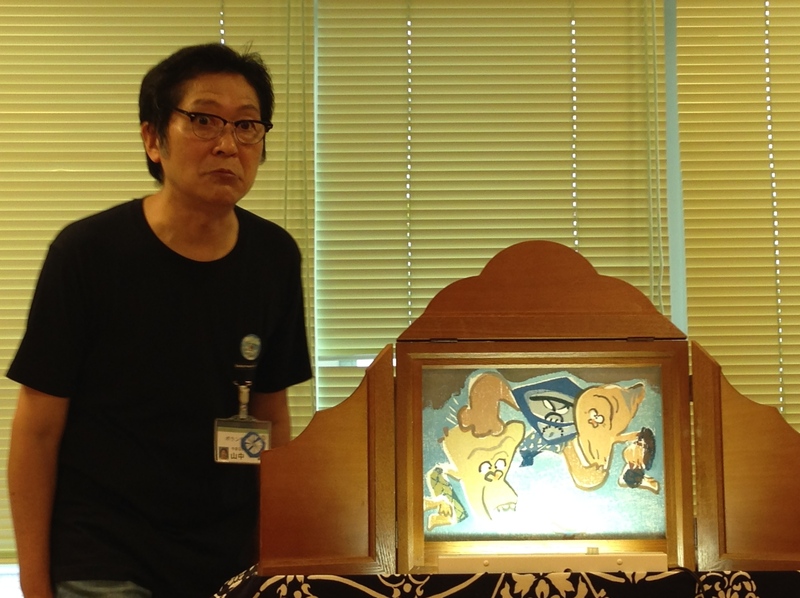 Kamishibai is Japanese traditional way of story telling, which is done with a kind of stage for many pictures to be shown in turn along the story. 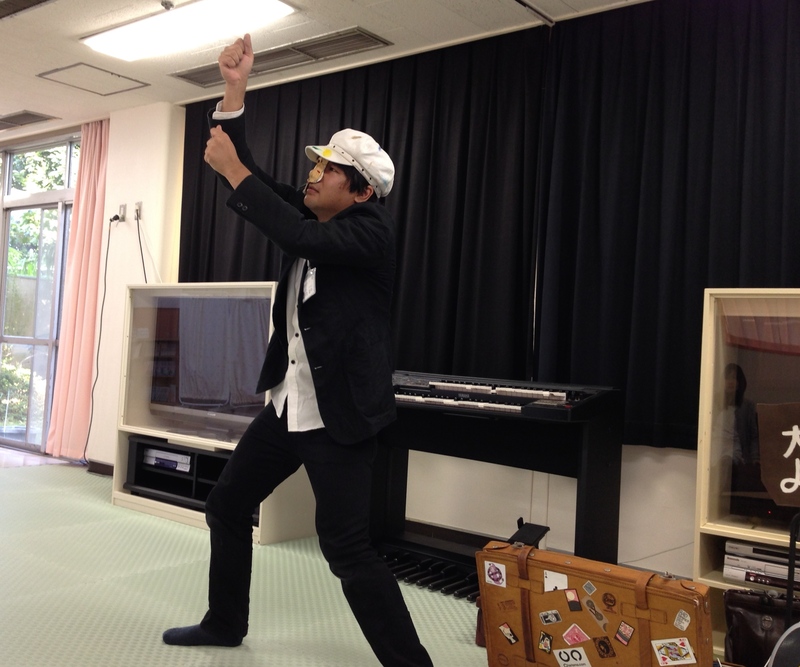 Ittoku-san takes a lot of time for getting ready for each performance. Children enjoyed many stories, some are funny, some are scary. 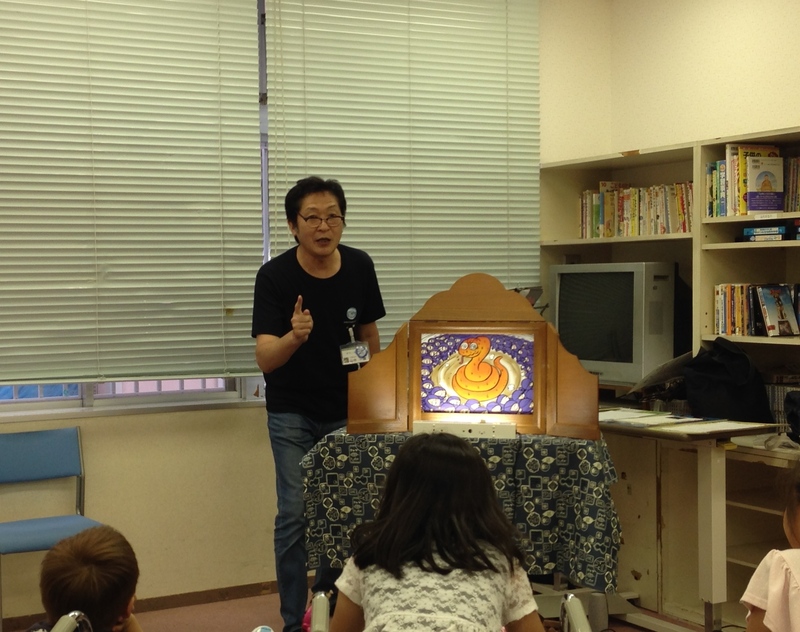 Comedy talk made children at home and they enjoyed learing English. All the children and mothers in the playroom practiced some simple magic many times. Some learned two or three magic perfectly and became so satisfied! Magic of coin, card, a soap bubble is especially popular. 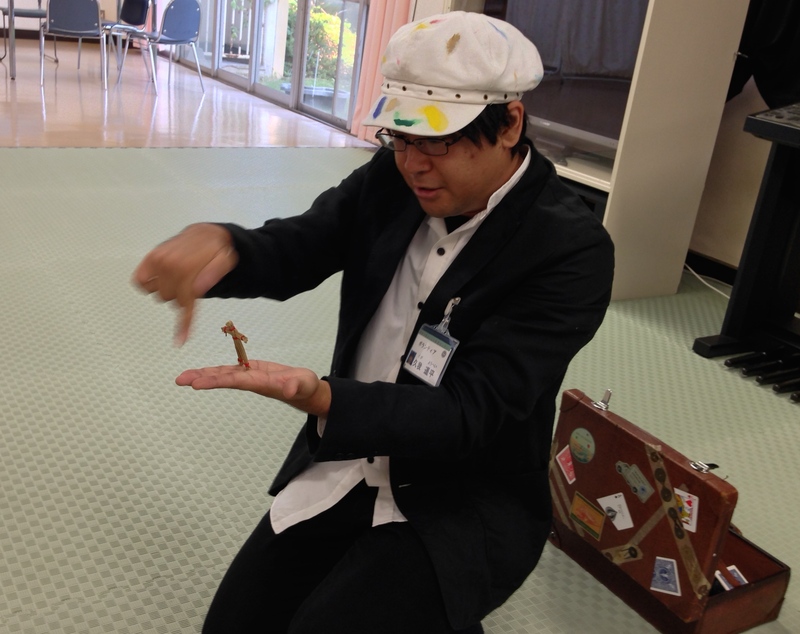 But Yohei-san’s spcialty is very unique pantomime. Not only children but doctors and nurses joined kids and enjoyed the show. 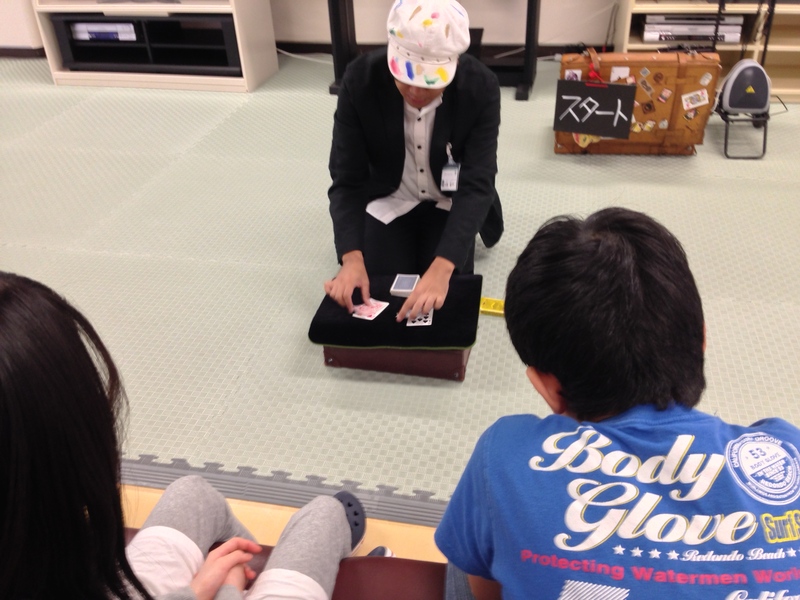 At last, the magic class was held and a boy was so happy that he learned some simple magic. “Please come again, Yohei-san!” children like him very much. 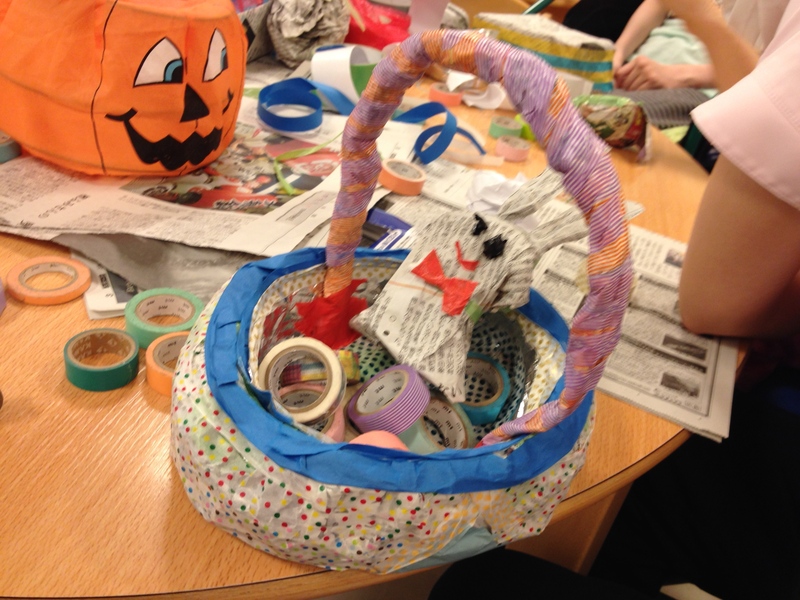 Boys enjoyed making mosters’ masks and girls made pretty baskets with old newspapers, tapes and other scrap material. Taking time at their own paces, they really had a good time! Everyone at each bedside started loughing out when she/he saw the comedian Cloudy walking in the room doing funny gesture. 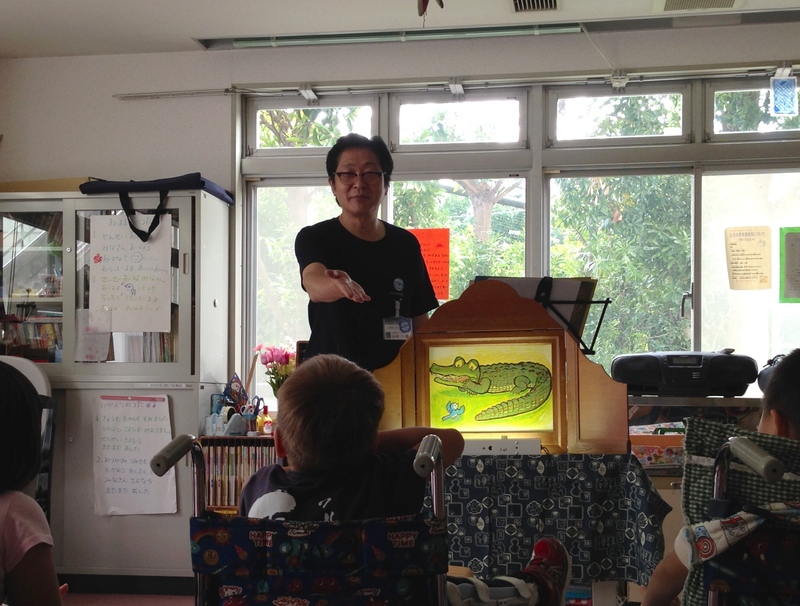 In the playroom, every child enjoyed the magic and quiz show in English. They all were such good English speakers! 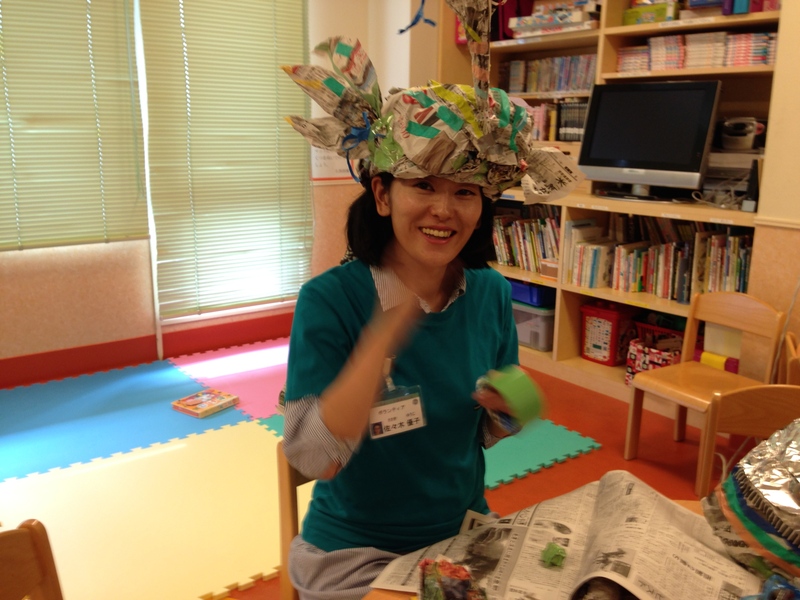 Infants and mothers enjoyed all the songs Yuko-san sang. The crying sleepy baby started to listen to her singing just afer Yuko-san began to sing. 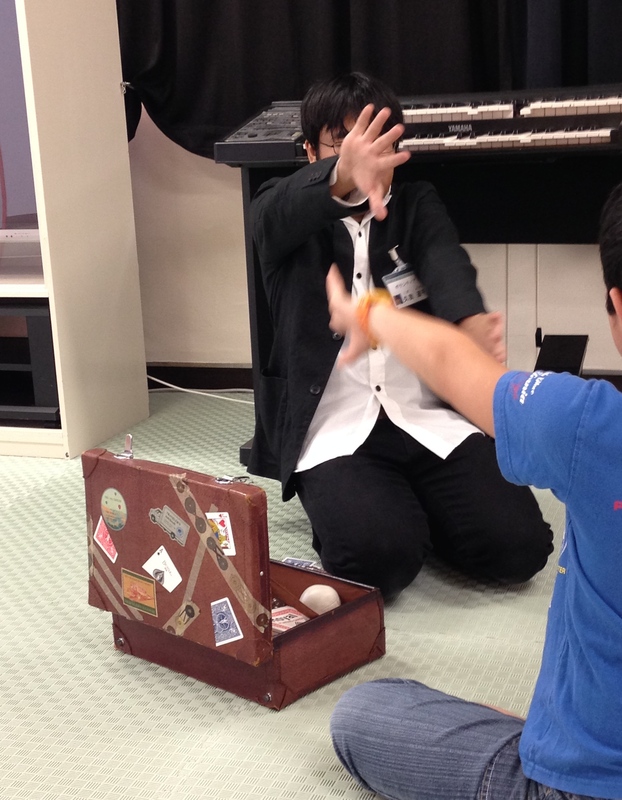 The shy kid hasitating to join got acclimated to the atomosphere and started to take rhythm with his hands and legs.